We have another 'Skyfall' super post featuring a whole host of trailers, TV spots & video blogs. Including 'Skyfall' theme song sung by Adele and a 50th Anniversary blog from the cast of the latest Bond chatting about he's 50 year legacy. 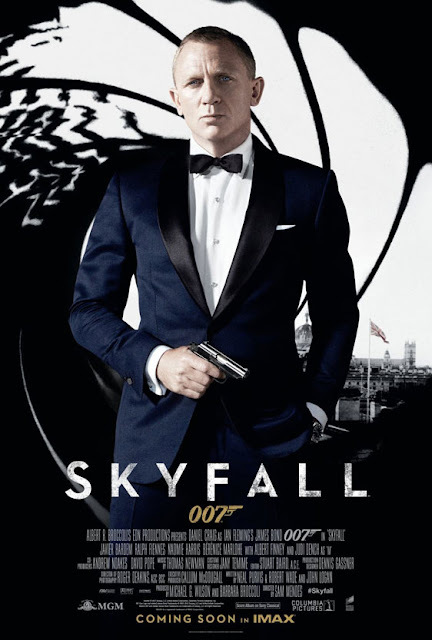 Directed by Sam Mendes, the 23rd James Bond movie stars Daniel Craig, Javier Bardem, Dame Judi Dench, Naomie Harris, Berenice Marlohe, Ralph Fiennes, Albert Finney, Ben Whishaw, Helen McCrory, Ola Rapace and Tonia Sotiropoulou. 'Skyfall' opens 26 October for Ireland and the UK, 9 November for the US.